Dustcontrol UK is set to exhibit its range of highly effective construction equipment at the Executive Hire Show 2019 next month. Taking place February 6-7 at the Ricoh Arena, Coventry, England, the Dustcontrol team will be showcasing the firm’s new DC Storm LPG propane powered vacuum, alongside its powerful Tromb 400 extractors, the DC 2900 and DC 1800 eco vacuums and its DC Aircube cleaners at stand K30. The DC Storm LPG has a 15 KW motor with the capacity to manage dust extraction in conjunction with work involving large floor grinders, hammer drills, scarifier/shaver or cutting machines for surface preparation, as well as heavy-duty cleaning with long hoses. As with all of Dustcontrol’s mobile equipment, the Storm LPG is fitted with Hepa 13 filters and built to Application Class H as standard for a no compromise approach. 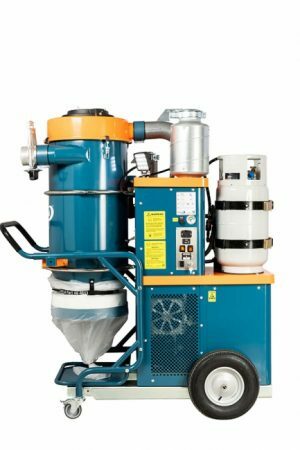 The company, based in Milton Keynes, has over 45 years of experience in developing dust extraction solutions and centralized vacuum systems to fit client requirements in the construction industry. They are experts in capturing dust at its source – both where and when it’s created. Launched in 2007, Executive Hire Show is a trade-only event open to hire executives throughout the UK and Ireland, while also attracting hire industry visitors from Europe and beyond. “The show will provide us with an excellent opportunity to show the tool hire industry how we can help businesses stay healthy through the use of efficient dust extraction,” adds Miller.